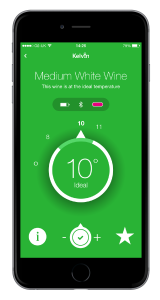 Serving white wine straight from the fridge or red wine at room temperature often means that the wine isn’t at the optimum temperature to allow you to enjoy it at its best. Likewise, serving red wines at 20-22 ˚C – the temperature we set our central heating to – means that the tannins lose their structure. 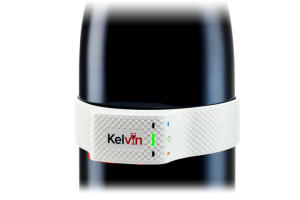 When you have your Kelvin K2 you can download the free iOS or Android app which will then bluetooth to the clip and monitor your wine as it is chilling. The App offers all the information you need to get the best from every bottle of wine. 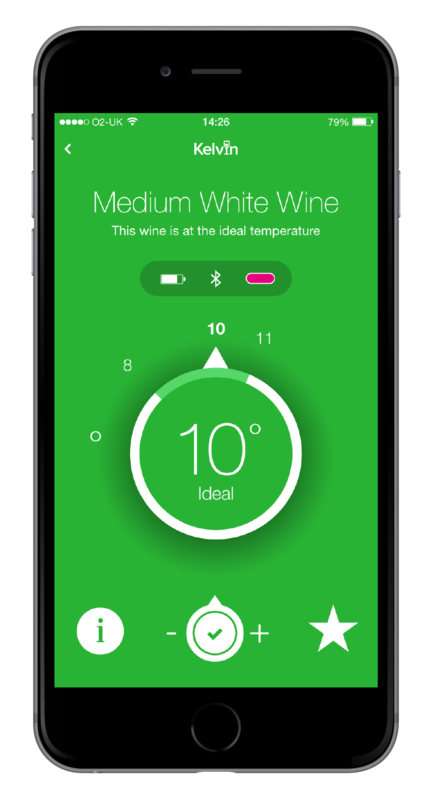 Your phone display will automatically change colour as the wine alters temperature. 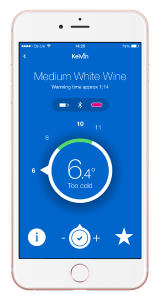 Blue too cold, Red too warm, Green just right.